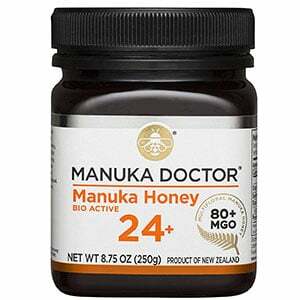 What is the Best Manuka honey? When selecting manuka honey, there are a few different factors to consider: cost, certification, benefits and more. Ultimately, with all factors considered, we had to choose the Wedderspoon Raw Premium Honey as our top pick. Wedderspoon Raw Premium Honey can trace itself directly back to the hive that produced it, is certified to have a specific amount of active ingredient in it and is available at an affordable price. To make it even better, it’s consistently delicious. But that doesn’t mean that the other picks aren’t a good choice. Unlike many other products, manuka honey is a consumable, and because it’s certified and standardized, you can choose other options. It makes as much sense to check out other manuka honeys as it does to frequently buy different flavors of jam. That means that honey fans can explore our entire list of manuka honey, until they find the one that is right for them. What is the difference between manuka honey and regular honey? How to Choose Best Manuka Honey? You may have noticed that honey at grocery stores often states where it’s from, whether it’s a flower honey, a fruit honey or otherwise. Honey’s taste and health features are strongly based on the flowers that the honey has been produced from. Manuka honey is made with a special bush that grows in New Zealand, which is said to have advanced properties. When honey is made with manuka bushes, it’s only made with those manuka bushes: you know exactly what the source of the honey is. Manuka honey is regulated: when it’s certified and laboratory tested, there’s a specific amount of active ingredient from it (methylglyoxal) that’s present in the honey itself. Thus, manuka honey is both a regular honey and also a health supplement. Methylglyoxal has been scientifically studied and shown to have antibacterial properties, including the ability to fight e coli and other well-known issues. Honey itself has long been known to have antibacterial properties, too: jars of honey have been unearthed untouched after thousands of years and still remained edible. This is part of what makes honey so notable for healing. Manuka honey has been cited in an extraordinary amount of natural health cures, though of course everyone needs to explore these options themselves and determine whether it works for them. What is known about manuka honey (specifically, tested manuka honey) is that it definitely contains specific amounts of methylglyoxal. Traditionally, manuka honey has been said to improve healing, reduce digestive issues, fight tooth decay and boost immune systems. For those who have issues digesting or who have immune system problems, it can be a good daily supplement. Additionally, it’s been used as an anti-inflammatory, an anti-viral and an anti-oxidant, conveying all of the benefits of these things. Anti-inflammatories are often used to treat issues such as arthritis, producing pain management and even treating the issues at their source. Those who are prone to inflammation may be able to reduce their pain through a daily supplement of manuka honey. Anti-virals are often used to treat viruses before they really latch on, being used as a preventative during times such as the flu season. Finally, antioxidants have been found to generally improve upon health. Many antioxidants are also seen as cancer-fighting supplements, since antioxidants have been shown to reduce instances of many types of cancer. In general, high amounts of fruits, vegetables and foods like honey are seen to have antioxidant abilities. Many people believe that honey in general is a healthy supplement, as it’s a natural sweetener that doesn’t have anything artificially included, and it has been used by the human race for thousands of years. Compared to other sweeteners like refined sugar and corn syrup, it has been seen to have a number of health benefits. With a lot of natural foods and supplements, it can be difficult to choose the best, because the industry is often unregulated. That’s not so with manuka honey. Manuka honey is strictly controlled by the New Zealand government, so the certified options have very specific amounts of active ingredient inside of them. You can choose the best manuka honey for you by a variety of characteristics. Certification and lab testing ensures that you know exactly what’s in the honey. The most popular is UMG 15+, which denotes MGO of 510+. This tells you how much you’re using of the honey to get the results that you desire. It’s always better to go with a honey that is thoroughly certified and tested. As mentioned, manuka honey is certified. This certification denotes potency. But you may not always want the most potent options. More potent honey is more expensive and you would need to use less. A light amount of potency may be enough for those who are seeking general health benefits and also just enjoy the taste of honey. Taste is something that varies significantly during honey production, often in ways that the producer cannot directly impact. The taste of a honey is going to depend on the hive, the plants and the time of season. Traditional grocery store honeys will add flavoring and sweetness in order to create a consistent experience, but manuka honey is going to tamper with honey the least. Consequently, you may notice very different tastes from brand to brand. Some honeys prioritize sustainability and their treatment of bees, and if they do, they will usually mention it directly on the bottle of honey or on their corporate documents. Sustainability is of particular importance when it comes to bees, because bees are disappearing across the world. It’s important that honey-related products support bees. Cost can vary significantly from manuka honey to manuka honey, ranging from fairly affordable to very expensive. Regardless, manuka honey is usually about two to three times the cost of traditional honey, due to the health benefits and the cost of production. If you’re concerned about cost, you may want to get a smaller jar initially. Genetically modified plants may have unpredictable issues with their pollen or other features, and this could limit the effectiveness of the manuka honey that is made from the plants. 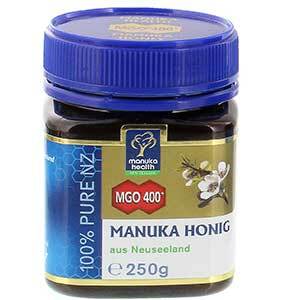 Many manuka honeys are consequently non-GMO, though not all of them are fully certified as non-GMO. If GMO matters to you, it’s best to choose one that is certified. Some honey is made from plants that have pesticides on them, which can be bad for a couple reasons: people may fear that chemicals are imparted to the honey, and they may also fear potential injury to the bees. If you want to avoid either of these situations, a pesticide-free honey can help. One of the major benefits of being in New Zealand is that many of the natural territory is chemical free and completely unspoiled. Most manuka honeys should be produced raw and unpasteurized. This means that the honey is thicker, more flavorful and more likely to impart benefits. When honey is heated, it loses a lot of its more special properties, even if it does become a little more consistent in texture and pouring. Most grocery store honeys are pasteurized and won’t impart many of the health benefits that honey should. When comparing different manuka honeys, you may find that one suits your sensibilities more than others. You may value taste over the specific amount of MGO inside of it, or you may be looking strictly for potency. Regardless, as noted, you can also choose multiple brands and decide which works the best for you. Like any type of food supplement, the taste does matter. Manuka honey has all the benefits of normal honey, in addition to methylglyoxal. This naturally occurring chemical has been shown to be able to fight off e coli and other types of harmful bacteria, which means its antibacterial properties are already notable. Essentially, manuka honey gives all the benefits of normal honey, with an additional punch. 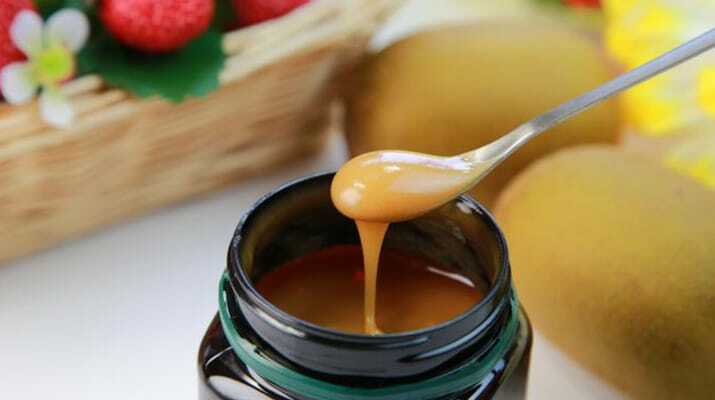 Benefits of manuka honey include being antibacterial, antioxidant and anti-inflammatory, though naturally those who are suffering from serious medical issues should consult with their doctor before initiating any type of medical treatment. Luckily, the quality of manuka honey will be available directly on the jar. Your manuka honey should come certified to a certain level of methylglyoxal, which is usually going to be 510+. All of the honeys of that quality are going to have the same amount of active ingredient, so you can rest assured that you’re getting a standardized and consistent dose among your products. But that’s not the only quality issue with manuka honey. Manuka honey may also be non-GMO or GMO, or it may be pesticide-free or use pesticides. So you should read the entire label of each jar of manuka honey in order to decide which is the best option for you. Comparing multiple jars may also be a matter of taste, as you can’t always know the taste of the product until after you’ve purchased it. Now that you know what manuka honey does and what its benefits are, you still need to find the right honey for you. 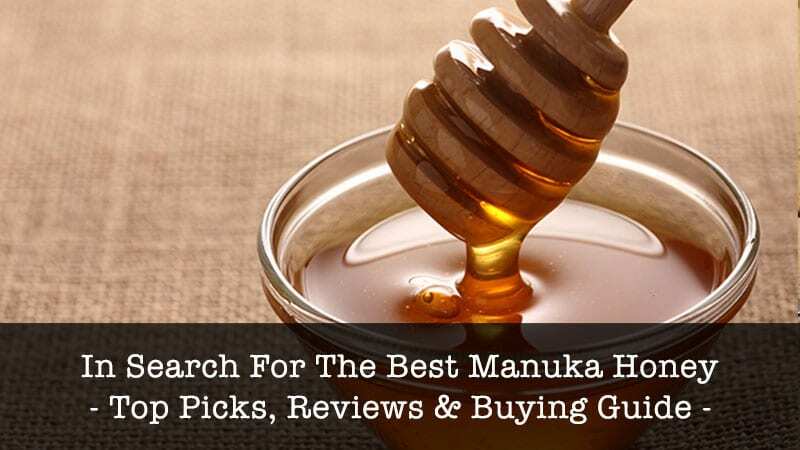 At Cooking Detective, we’ve created a list of the 10 best manuka honey brands, which includes in-depth reviews and details regarding which are considered to be the best-of-the-best. What You’ll Love: Wedderspoon Raw Premium is everything there is to love about New Zealand’s manuka honey. It can be sourced directly to the hive, is completely raw, and is pesticide-free and pure. 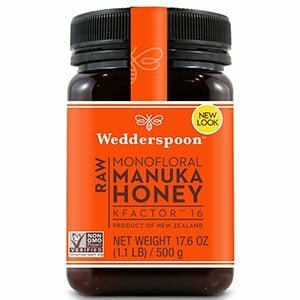 We love the fact that Wedderspoon Raw Premium is an affordable manuka honey option that nevertheless is potent, consistent and certified with a Kfactor of 16. If you only try one type of manuka honey, this should be it. Unpasteurized, genuine New Zealand manuka honey, this is a healthy alternative to any sweetener and widely used in home remedies. Wedderspoon honey can be traced directly back to the hive that created it, reducing the potential fears of pesticides and included chemicals. All you get is pure honey that’s been naturally sourced. Manuka honey serves a lot of different purposes, and raw premium honey can be used for everything from a potential health cure to a dietary supplement to an addition to your tea. Every honey tastes a little different, so the Wedderspoon Raw Premium honey may end up being your favorite based on taste alone. Raw, unpasteurized honey has a heartier flavor than other honeys. Many honeys at grocery stores are not 100% pure, but instead made “with” 100% pure honey. This isn’t a concern with Wedderspoon Raw, a premium grade of honey that packs a whole lot of natural honey taste. However, there is one downside: Wedderspoon is a little light on certifications, making it mostly ideal for those who want an affordable and delicious option. What You’ll Love: Manuka Doctor is the affordable option for those who are interested in the taste and benefits of manuka honey, but that doesn’t mean that it’s just a budget option. It’s also been laboratory tested, certified, and standardized. We love that this manuka honey can be purchased and used by anyone, including those watching their budget, while not skimping on the quality. If you’re looking for an affordable way to check out manuka honey, this is the selection for you. Manuka Doctor Bio Active Honey is a completely natural New Zealand honey that has been certified to originate from New Zealand hives. Clean, natural and delicious, the Manuka Doctor Bio Active Honey has been laboratory tested to ensure that it’s bio active. Manuka honey is used for some major qualities being naturally antibacterial, antioxidant and anti-inflammatory. Yet many honeys are inconsistent in their method of production, because they are produced in a natural method using bees. This manuka honey is standardized via laboratory testing and is consequently safer and easier to use for these purposes. What You’ll Love: If you want something that’s delicious and notable, you want Manuka Health. Having been featured on Good Morning America, this brand of honey is known to have a specific amount of active ingredient in it, due to the comprehensive laboratory testing. We love that this brand puts taste and potency both at a premium, and that it’s a consistent and tested product. This formulation of manuka honey has been designed specifically for both health and taste benefits, providing a powerful combination of both. Featured on Good Morning America, it’s known to be an especially high quality and potent blend of manuka honey, and it’s certified to be 100% New Zealand made, from New Zealand hives. Manuka honey is known to be special through a specific ingredient, which is known as methylglyoxal. 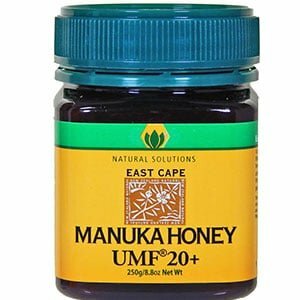 This manuka honey specifically measures the amount of this supplement inside of the honey, thereby increasing the consistency of the honey in terms of home remedies. If you’re seeing out manuka honey for home remedy use, this is a fantastic way to experiment with dosage and find the amount that’s right for you. In addition to being certified and laboratory tested, the Manuka Health NZ honey has been made to be delicious. 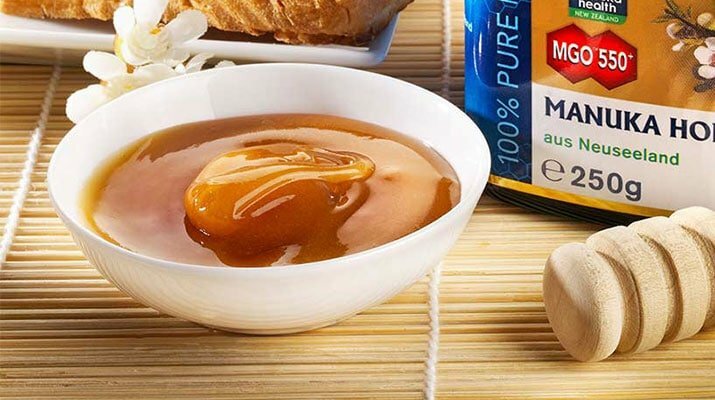 If you just love honey and love having it on your biscuits, tea, and other food products, then the Manuka Health NZ product may be the perfect choice for you. The addition of laboratory testing ensures that it’s a high quality product. What You’ll Love: Manukora’s raw manuka honey is a certified, laboratory-tested option that is non-GMO and can be traced directly back to a hive. Manukora is a high quality option and one of the best if you’re looking for a consistent health supplement. We love the amount of care that has gone into making sure that Manukora is a complete health supplement rather than just a delicious honey (though it is also that). Honey is about more than just the process of making the honey itself: it’s also about the flowers that fed the honey. Manukora doesn’t just guarantee the end quality of its honey, but it’s also non-GMO, which means that no GMO plants were involved in the process of making it. While no one really knows whether GMO plants could produce bad honey, it’s often considered not to be work the risk: genetic modification of plants could alter pollen and other features in currently unkonwn ways. That makes Manukora an excellent runner up, especially if you’re especially concerned about non-GMO products and want to make sure to avoid them. In all other aspects, Manukora is also a high quality raw manuka honey, with all of the benefits of being a raw, unpasteurized honey. Whether you’re interested in a daily supplement, treating allergies, or just adding some sweetener to your tea, this is a healthy way to get a dose of “superfood” while doing it. Additionally, Manukora is both certified and laboratory tested, before it’s even shipped to you, so you know exactly what you’re getting each time. You’ll be able to trace Manukora directly back to the healthy, happy hive that produced it. What You’ll Love: An independently tested product, Happy Valley manuka honey is certified to UMF 15+ and has MGO 510+. It is pesticide-free and produced solely in New Zealand. We love how much has gone into producing a high quality product in Happy Valley, but unfortunately we don’t love the cost. Happy Valley is one of the most expensive options for manuka honey. A highly rated, high quality manuka honey product, Happy Valley is perfect for those who want to gain all the benefits of manuka honey within a single fantastic product. Happy Valley has all the major benefits of manuka honey: it’s certified, traceable, unpasteurized and more. This delicious raw honey has a UMF value of 15+ which means that it is guaranteed to have at least a certain amount of MGO in it. If you’re using it for its health benefits, it’s really very critical that you have this high MGO value. Independently tested as a New Zealand honey, Happy Valley is ensured to have these standard amounts of MGO in every single batch. Further, it’s made within the forests of New Zealand, far away from any potential contaminants such as pesticides and other problem issues. What holds this manuka honey back from being a top pick is largely just the price: it’s one of the costlier options out there. Yet if you’re going to experiment with a lot of different honeys, it can be worth the cost. As noted before, every honey has a very different flavor and texture, and much of this has to do with the bees that produce it. Since honey differs from season to season (occasionally even becoming darker or lighter), using different honey blends can add to the taste and experience. What You’ll Love: Tahi Manuka Honey is certified to 15+, making it a laboratory tested and certified product that’s excellent for use in supplements. It also comes at a fair price, but what we especially love about this honey is that it puts bee-friendliness and sustainability at the forefront. As a bee-friendly product, Tahi makes sure that its bees are well-cared for and not exposed to pesticides or other potentially harmful environments. That makes it good for the ecology as well as being good for the bees. Are you concerned about ecology and the treatment of bees? If animal welfare is one of your primary concerns, then Tahi Manuka Honey is the best choice for you. Not only is Tahi Manuka Honey certified to 15+ (which means it has to have a standard amount of MGO inside of it), but it also denotes itself as bee-friendly. The bees that make this honey are well-cared for. Of course, that doesn’t mean that the bees that provide the other honey on this list aren’t well-cared for, just that that isn’t a major selling point of the honey. Tahi puts some extra special care into making sure that the bees aren’t disrupted unfairly during the honey process and that the bee hives are healthy and thriving. Not only is that good for the environment, but it’s also good for the quality of the honey. A more consistent honey can be achieved with happier, healthier bees. Of course, the downside to this honey is largely the cost, as it’s one of the more expensive options available. What you get in exchange for that is bees and honey that you know haven’t been exposed to pesticides and are being used in a sustainable and responsible manner. What You’ll Love: Natural Solutions is a highly rated, highly potent manuka honey that may very well have the most active ingredient on this list. Of course, you can always eat more honey, but that much sugar isn’t good for everyone. If you’re interested in honey but want to reduce the amount of overall sugars you’re eating, this is the perfect solution. We love how much MGO this product has without compromising its taste. Most of the manuka honeys on this list is rated at a UMF 15, which also makes it rated at an MGO 510. That doesn’t necessarily mean the exact amount of MGO is in the product, but that at least that amount is in the product. Natural Solutions is more potent, which means you get those healthy supplements without having to eat as much honey. If you’re trying to reduce the amount of sweetener that you eat, or you’re just trying to get a more powerful dose of MGO, then the Natural Solutions honey is the perfect product for you. Not only is Natural Solutions a well-known and trustworthy brand, but it’s also certified as providing high quality honey direct from New Zealand. 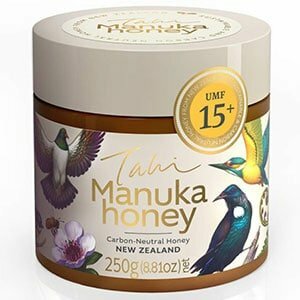 Like many of the other products on this list, the primary downside is going to be price: Natural Solutions Manuka Honey is more expensive than most of the other products on this list, making it one of the more luxurious brands of raw honey here. On the other hand, since it’s more potent, you use less of it and it will last you a much longer time. What You’ll Love: Get some treatment with Airborne, a completely traceable honey product that can be traced right back to the hive that produced it. While this is not a certified honey and thus, consequently, isn’t guaranteed to have a specific amount of active ingredient, it is still tested: you’ll be able to see the specifics of the honey on the jar. We love the price of this honey, which is one of the lowest available. 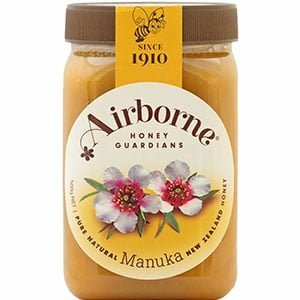 An excellent budget option and a way to test out New Zealand manuka honey before you commit, Airborne provides a small jar of manuka honey at a reasonable price. This pure, natural manuka honey has been lab tested for its active ingredients, and though it may not be as potent as some of the other options on this list (such as the Natural Solutions), you’ll always know exactly what’s in it. This honey is completely traceable down to the hive, so you know exactly where the honey came from, and the batch testing includes pollen count and other vital information that you might need in your raw honey supplements. With minimal heat damage, Airborne Manuka Honey has been designed to preserve all of the incredible benefits of raw manuka honey. Potency may be a major issue with this manuka honey, and it’s not certified to any particular UMG level: though you know what’s in it, it may be less than a certain amount. Nevertheless, the extremely reasonable cost of this honey, combined with the fact that it’s high quality and delicious, may make it perfect for people who are just now testing manuka out. Airborne has been producing honey since 1910: so it isn’t a trend, a fad, or a large company jumping into honey production. What You’ll Love: A certified and laboratory tested product, Comvita is one of the highest quality honeys on this list. Not only do they put a lot of labor into getting a consistent product, but the product is also known to be tasty and delicious. We love that this product is kosher, halal, non GMO, and stored in a non-BPA environment, all of which makes it much safer to consume. Another safely and completely certified product, Comvita honey can guarantee a certain level of UMF, which guarantees a certain level of MGO. This high grade honey is kosher, non-GMO, halal and stored in a BPA-free jar, which ensures that you get a high quality honey that’s entirely free of any sort of unnecessary chemical. Despite all of these certifications, requirements and standards, Comvita Manuka Honey is a reasonably priced option on this list, falling between most of the other options in cost. You can get a little more than 8 ounces of super premium grade manuka honey, which can be eaten by the spoonful or mixed into drinks. It’s non heat activated, which means that it currently retains most of the major benefits of natural honey. Lab tested and certified, Comvita is recommended for use as a health aid and supplement. It’s suggested that it be used to boost immune health, or for sore throats and other symptoms of illness. 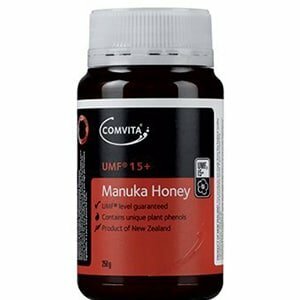 Backed full of antioxidants and other beneficial supplements, Comvita manuka honey is also considered to be a general “super food” with a lot of nutrients and value to spare. 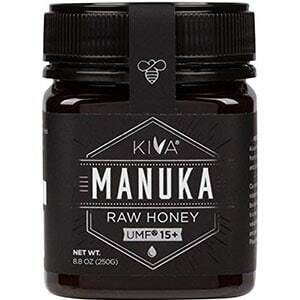 What You’ll Love: Certified to UMF 15+, the Kiva Certified Manuka Honey has everything that you want from a honey, including being sourced from the lovely forests of New Zealand, and kept away from pesticides and pollution. We love that this certified manuka honey is versatile and delicious, being both laboratory tested and also produced raw. This genuine manuka honey is sourced from the hills and forests of New Zealand, a pristine area with limited pollution and superb resources. If you’re interested in finding a high quality honey, the Kiva Certified honey has been laboratory tested to a specific value of MGO, which is the active ingredient in manuka honey which is said to have health benefits. Of course, honey has also long had benefits in and of itself, and manuka honey provides for many of these in a standardized, laboratory tested way. This manuka honey is traceable to the hive, laboratory tested, certified to standards and produced raw, making it a valuable addition to any pantry or medicine cabinet. Use this manuka honey for either cooking or a direct supplement, including it in drinks, cold teas, and along with pastries. One of the more affordable budget options on this list, the Kiva Certified UMF 15+ is a good way to explore different flavors of honey, as every honey that is produced has its own very distinctive taste. All of the manuka honeys on this list are great choices for those who want to experiment. Since honey is so distinct, you may want to try a few. To get more information on honey and supplements, follow CookingDetective.